Rangefinders are little gadgets that are more than useful in situations wherein you need to ascertain how far you are to a target. Your accuracy can greatly improve depending on what equipment you use to reach the target. Rangefinders are valuable to use in hunting, golfing, surveying and even photography. But in this article, we will focus more on finding the best hunting rangefinder to use when you go out next time. Why Need Use a Rangefinder? 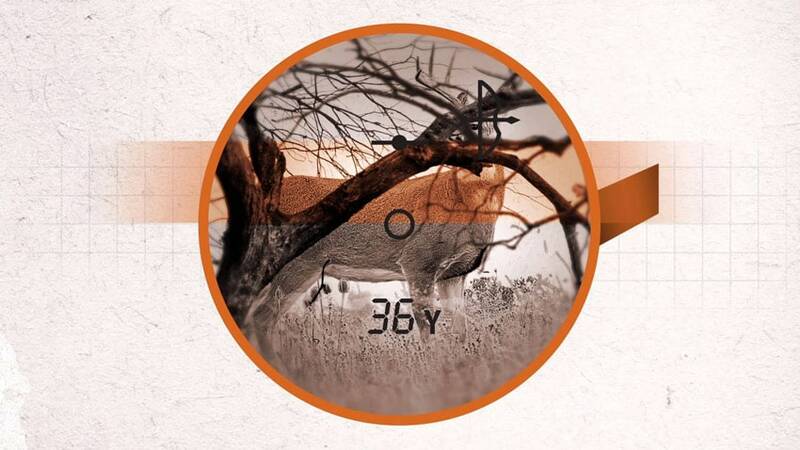 How to Choose the Best Rangefinder for Hunting? 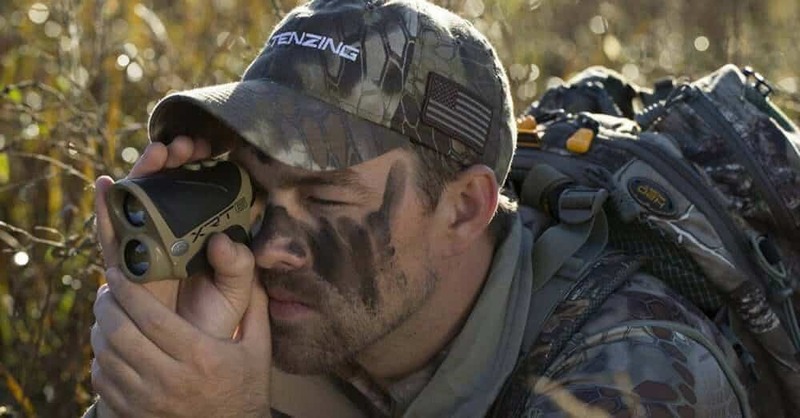 In this section, we save you time from researching what’s the current top bestsellers in the hunting rangefinder business with our list. Bushnell has been known for many years in manufacturing rangefinders that are good for the money. Bone Collectors has the hunters in mind due to its sturdy design while being covered in Realtree Xtra camouflage design. It’s not only beautiful but can handle extreme weather conditions as the outside is absolutely water resistant. Its dimensions are 3.8 x 2.9 x 1.4 so you can garner that it is of compact size and can be brought everywhere you go. It has a magnification of 4x through objective lens measured at 21 mm. The magnification is perfect for bow hunting but quite less for rifle hunting. It doesn’t come with Angle Range Compensation or ARC Technology so calculating at tree stands can be a challenge for you. The range of this model ranges from 10 to 600 yards and a + – 1 yard in accuracy. At a press of a button, the high-quality optics can help you spot targets more clearly even in low light settings. The reticle is illuminated with LCD for better seeing at night. Hunting has never been easier with ProWild by TecTecTec. This model is capable of reaching 540 yards at a magnification of 6x. It can provide highly accurate measurements at a fast rate with + – 1 yard in accuracy. Thanks to the multilayered optic lens, you can read off distances clearly on an LCD display. For its physical features, the size of ProWild is at 4.09 x 2.3 x 1.61 at a weight of 6.5 ounces. It is definitely portable and can be carried anywhere as you buy the case and lanyard along with the rangefinder in a bundle. For Nikon brand alone, this Aculon model tops other models because of its optics. Nikon is a manufacturer of high-end cameras, and it’s also one of the top producers for rangefinders. For Aculon, it is in a compact size perfect for any activity and any environment. Not only for rifle hunting but you can also use it for archery because it has the range of 550 yards. Its magnification is ideal for both equipment to use because of its 6x magnification through a 20mm objective lens. This makes it ideal for both hunting weapons. Its dimensions are 3.6×2.9×1.5 and portability is its middle name. You can carry it in your pocket or wear a sling around your neck. At 5.6 ounces of weight, you have no problem of instantly fishing it out of your container and stowing it away when not in use. The model comes in black color and is also waterproof. As you push a button, the rangefinder can give you instant and continuous measurements as you size up your target in an LCD. You can toggle from first to second target priority that makes all the experience more amazing. Other features include 18mm long eye relief and automatic power off after 8 seconds of inactivity. 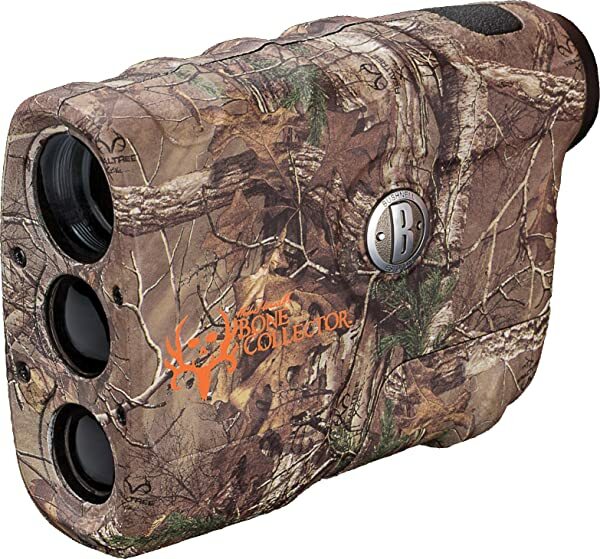 Another product by Bushnell and is one of the favorites of our fellow hunters and rank number two in our list. One of the reasons is the rubber housing that covers the entire unit. It’s waterproof and fog-proof and can resist harsh weather conditions. It is durable enough to survive the fall from a high place. The model has the capability of reaching the distance of about 1000 yards with its 5x magnification and the 21 mm objective lens. Thanks to the ESP processor, the model can read distances at a fast speed but with impressive accuracy. Don’t belittle this one as you can toggle between first and second priority mode which are in different words specific only to Bushnell. For first priority, it is named as Bull’s Eye and the second target priority that focuses more on the farther objects is called Brush mode. The model has built-in inclinometer so you can easily calculate distances even at the top of a tree. The reticle for this rangefinder is black, so you have the best chances of seeing the targets at daylight but could be lower when you use it in low light, but you should be fine. Its physical dimensions are 4.3 x 2.8 x 1.7 and are lightweight at 7.2 ounces. Though this one comes at a very high price, you can get the advanced features bundled inside this one amazing unit. Its range is not a joke and can really reach up to 3400 yards! Impressive far reach is this model’s main point. It has other ranges, though, and the 3400 yards only stands up for reflective targets. If your target is a deer, it can reach up to 1200 yards, and for trees at 1500 yards. This is all the more possible with the large magnification of 7x than the normalsight, and the objective lens is measured at 25 mm. The inside of the Sig Sauer is all the more impressive as it is outside. It has a scan mode that refreshes 4x per second, and the reticle is illuminated with red light. The Revolutionary Lightwave DSP technology determines further ranges very fast and at a high accuracy. It also has Lumatic OLED display that is useful in all light conditions and that includes low light or even when it is raining as its sensor adjusts automatically. Not only that but also the model has two modes that can cater between thebow and rifle hunting. You can choose between LOS (line of sight) mode and AMR (angle modified range) mode. The exterior of this product is also amazing because the housing is made of magnesium and is colored black. It is waterproof and can survive the harsh weather conditions so you can have this product for a long time. Sig Sauer is lightweight at 7.5 ounces with the dimensions of 4.2 x 3.0 x 1.3. When a hunter spots a prey, calculating the adjustments for your aim can be difficult with just your eyes. A short distance is probable but for farther distances, a mistake in how you set up the trajectory can mean a successful shot for a humane kill or a grave wound that would result in the needless suffering of the animal. If it’s not between the two, you aim can go off and completely miss the target. This is where a good hunting rangefinder enters the scene to aid you. As mentioned earlier, the rangefinder can calculate your distance to the target. Take laser rangefinders for example. 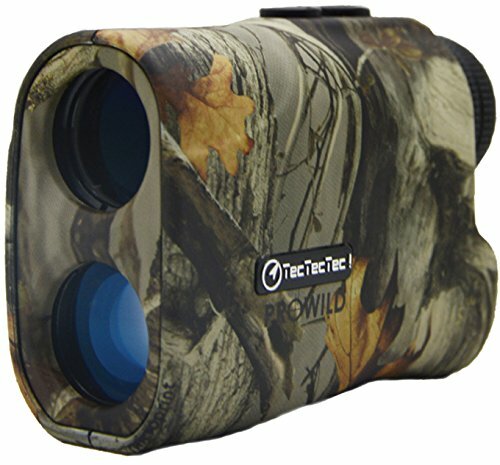 They are one type of rangefinders that are widely popular to hunters among other types. They are also the main scope in this article. When you look through the lens of the laser rangefinder and push the button, a beam of laser emits from the gadget and can travel several miles away at a speed of light. Once you establish your target, the beam will then reflect. The gadget will measure the total time, and it will display the calculated distance. Laser rangefinder’s reach depend on how advanced the little equipment was made. Rangefinders for beginners begin from 200 to 600 yards, while the advanced rangefinders can reach even the distance of 1200 yards. In hunting, there are two weapons that hunters use. One is a bow and arrow,and the other one is a rifle. By any means, the hunting rangefinder used in those two have some differences because of the difference of how the arrow or bullet is shot. For example, for further distances, the archer tends to make a projectile or a higher curve on the arrow trajectory so that the arrow will reach the prey. As for the rifle, it’s usually fired in a horizontal trajectory. Rangefinders used when you’re out hunting with your compound bow tend to be used vertically and compact for your grip. The size makes the rangefinder easier to attach to the belt holster. Also, most rangefinders specific for this type of weaponry feature angle compensation that helps you calculate the distance accurately at elevated positions. Hunting with a rifle is greatly different than with a bow as it covers greater distances. Because of this, the rangefinder that the hunter should use should also reach longer distances. They are also larger and used horizontally than their counterpart in bow hunting. Hunting rangefinders to be used with rifles belong to the advanced side and so they can provide more accurate distances as they analyze different readings. The important features for this kind of rangefinder is its magnification and optics. This means that the rangefinder can accommodate both types of weapon equipment. One common feature of this type is it should cover more than 1000 yards and has angle compensation and great magnification and optics. Aside from hunting, a rangefinder is commonly used in golf, surveying, photography, and ballistics. The similarity between all of the stated applications is the coverage of farther distances. Golf rangefinders are normally used to improve the pace of the game. By determining the distance of the pin, you can next determine what type of club to use to deliver enough power to send the ball flying closest to the pin. The golf ball will then be shot into the hole or near enough so you can lower your scores. Rangefinders of this type have pin seeker technology which, of course,detects nearby pins in your rangefinder’s field of view. Golf rangefinder is a good tool to have if you are playing in an unfamiliar field. Forest surveying normally employs the use of rangefinders to verify the distances between trees and plot centers and even measuring the height of trees. The model of rangefinders to be used depend on the weight and size chosen by the buyer. But since surveying involves heavy trekking even on uneven ground, the rangefinder should be lightweight and can be worn around the neck. 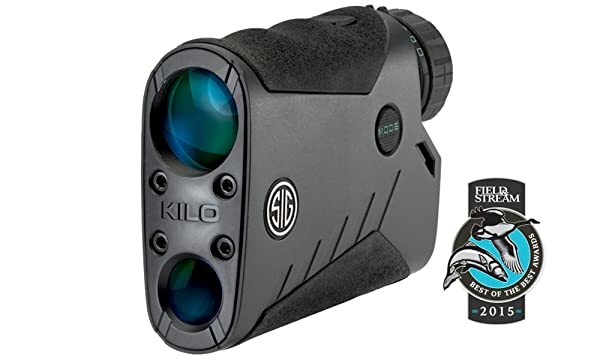 Laser rangefinders are normally used with firearms to measure the distance to the target for a possible shot release with a curved trajectory. Prior to laser rangefinders, military men in the past used heavy optical rangefinders with a baseline of several meters to measure the range. Rangefinders’ application in photography as a camera is not as popular as the widespread SLRs now. They are smaller but can produce a higher quality of images than SLRs. You don’t have to look through the lens of SLRs, because with rangefinder cameras, they can give sharper focus and lesser blur because of the two images that are merged into one. Once the two shots are merged, you can read off the distance from the camera to the aim. There are three main types of rangefinders widely available among the hunters and some golfers. 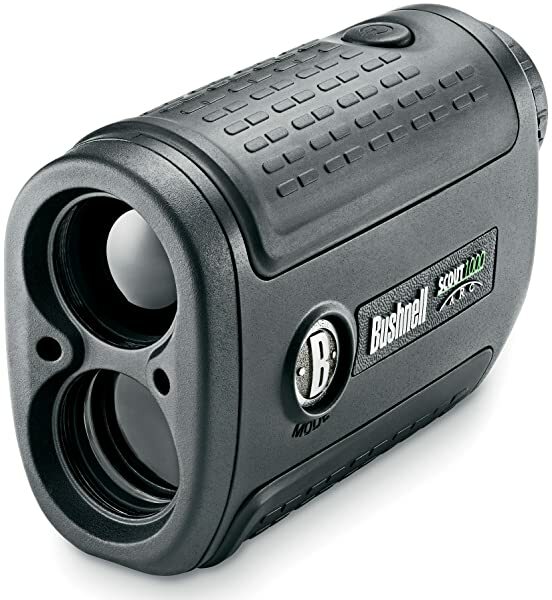 This type is commonly used by hunters and golfers and is the cheapest type of rangefinder you can find in the market. There’s no need for software and batteries when using this type as the two lenses at the opposite ends focus on the object. There would be two images, and the focusing knob superimposes them together. The knob then determines the distance reading. Though it’s not as accurate as the laser rangefinder, the accuracy percentage of 90-95% is established if you know how to focus on the target object. Laser rangefinders are similar to this type. It is similar as they both emit light beams to measure the distance. Infrared rangefinders use triangulation once the IR light is set off to the target. The object being the target reflects back the light and creates a triangular angle between the emitter, the point of reflection, and the detector. They are sold cheap and have low consumption on the battery life. Though a bit more expensive, you get what you paid for as the accuracy that this type is top notch. 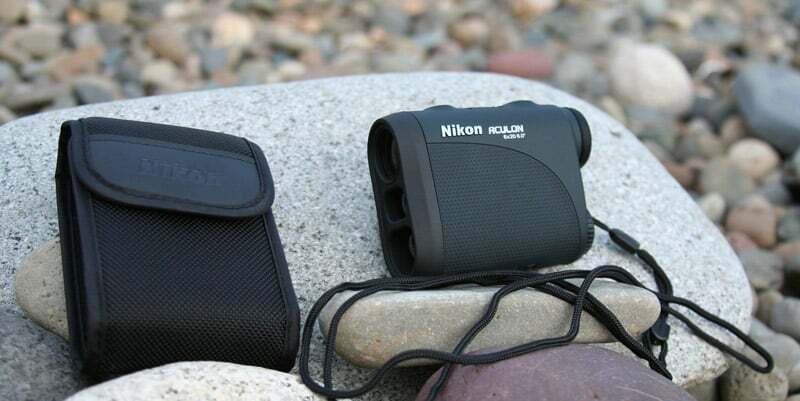 Depending on the model, the rangefinder can be used as monocular or binoculars. With the time being the main measurement of the rangefinder, the distance is then calculated by how long did the light travel back to the rangefinder. Since the object must reflect so that the distance can be determined, it can be quite difficult to do it in low light or dark situations. The result would either be inaccurate or not available. This is also the case if it’s foggy or raining outside. Those were the circumstances that rangefinders faced before, but newer models that are highly advanced have the ability to negate those. This is by sending various return signals instead of the normal way. The rangefinder calibrates this information and then the most accurate version is displayed. There are also advanced models that have sharper optics to be able to see in low light. Some other features include ballistic information for rifles so you can shoot from uphill or downhill. Also, some others can help you shoot from tree stands when you’re using your bow. With further distances taking more than 1000 yards, it is important for your rangefinder to magnify several times than the norm. The highest possible times that are available range from 8 to 10x magnification. The laser beam can spread over longer distances because of beam divergence that is the main indicator of how well and how far can your rangefinder perform. The more ‘focused’ the beam is, the more readings you can get out of the target object. Older models display distances at first reading which can either be accurate or not depending on the conditions. Nowadays, the modern rangefinders have multi-pulse technology that can gather sample multiple readings off a target object and can ignore other factors that can affect the reading such as fog, low light, small target size, and rain. These sample readings are then analyzed by the software to display one distance that is highly accurate. The listed maximum range by the manufacturers is the maximum range that you can spot targets and calculate the distance between them at ideal conditions. So on some models, the distance covered may be shorter when the conditions are less than the ideal such as in low light or when it’s raining. Depending on your equipment to use in hunting, you should consider the size and design you should be getting. For bow hunting, it’s common knowledge that you bring a lot of gear aside from your bow such as quiver, arrows, hunting bag, other small accessories, etc. The rangefinder you should use must be compact and lightweight, in short, get a vertical design for a rangefinder. In design, you should also consider the color of the hunting rangefinder. Colors or designs used commonly are black or camouflage. The rangefinder should at least be waterproof or is weather-resistant. Rangefinders used in hunting are divided into two: first and second priority differences. For the first priority rangefinders, they are more commonly used in golfing as your field view mostly consists of the green background and the pin. There are little obstacles that may diminish the sighting of your target. In hunting, first priority rangefinders are applicable especially when in an open ground. Second priority rangefinders are able to determine the distance of the farther objects behind the first object that your rangefinder covers. 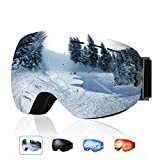 This is perfect for hunting as there might be various vegetation or tree branches that can be in your line of view while your target animal is found further back. Laser rangefinders are more flexible this way as you can toggle your settings from first priority to second priority. It is also called aiming point that you can see through a rangefinder. The reticle’s visibility depends if it has black lines or illuminated by LED lights. Sure, the illuminated reticle can make you see clearly in low light settings but can sometimes be invisible in bright settings. For the black lines, you can see clearly at day light, and you have the option of the back light so you can see anything in any setting. Of course, magnification is one of the most important factors to consider as you will be spotting targets hundreds of yards away. For strictly bow hunting, it’s ideal to use rangefinders that are 4x in magnification. For rifle hunting, you can go upwards from 7x. Then for both bow and rifle hunting, the ideal magnification starts at 6x. Most laser rangefinders can give you more accurate distance readings accounting the angle between you and your target. Some models don’t have this feature and can greatly affect how well you can fire projectile shots when you’re in extreme angles. Different models and different brands all differ in prices depending on the features and range. Of course, if it’s more advanced, as can be easily seen by the range and higher optics, you get a higher price. However, you can garner that you get what you paid for as they are low maintenance and can function longer than others. We’re not discouraging you not to buy cheaper ones. You should follow what you think works best for you considering all the factors above. 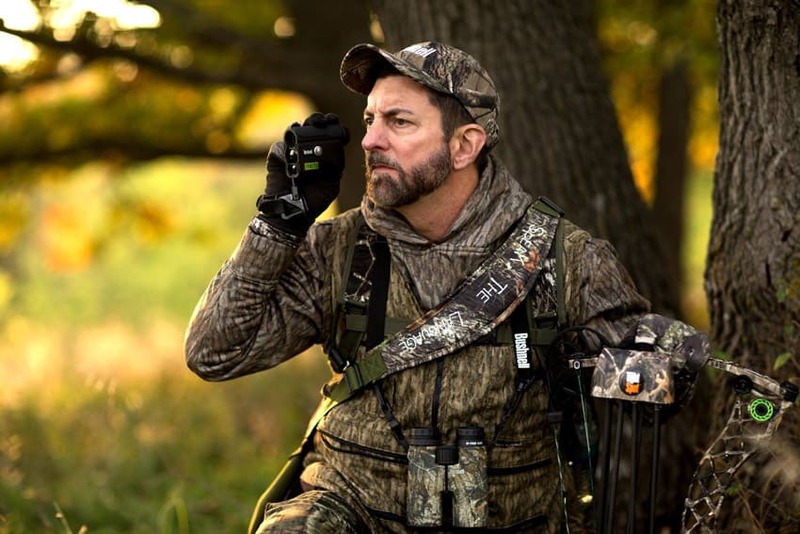 There are many factors to consider when you buy the best hunting rangefinder. Among our listed products and its many advantages, it’s up to you to discover more rangefinders that can be suitable for your next hunting trip.